Ikkoryu Fukuoka Ramen and Quirks Are Now Open at Power Plant Mall! Are you looking for new places to visit at Power Plant Mall? I suggest you check out the newly opened Ikkoryu Fukuoka Ramen and Quirks. 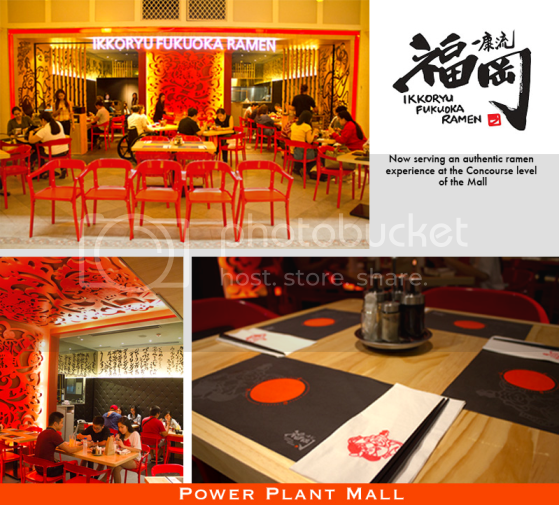 You will surely enjoy an authentic ramen experience at Ikkoryu Fukuoka Ramen which is located at the Concourse level of Power Plant Mall. If you’re looking for novelty items, then you should visit Quirks. 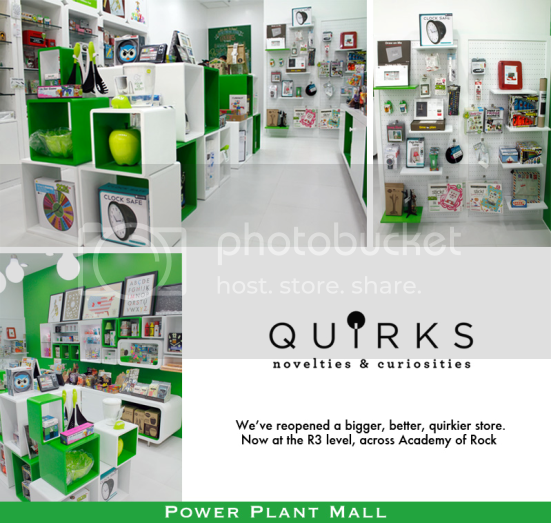 A bigger, better, quirkier store awaits you at the R3 level of Power Plant Mall, across Academy of Rock. This entry was posted in Ikkoryu Fukuoka Ramen, Power Plant Mall. Bookmark the permalink.